22 veterans take their own lives every day. The movie-turned-movement, it's theme song, and its director are getting lots of press, including feature articles in U.S. Veterans Magazine and the Tallahassee Democrat newspaper. Keep up with what the news media are saying about Why Can't We Serve by visiting the Media Coverage page. Theme Song from the Movie Now Available! 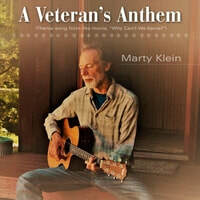 “I wrote 'A Veteran’s Anthem' to help all vets focus more on life and living, rather than thinking about death and dying,” Marty Klein says. Now you can purchase and download a high-quality MP3 of the theme song heard over the closing credits of the documentary. The song was performed by Marty and his very talented friends, including John Sebastian of the Lovin' Spoonful. Go to Marty's CD Baby page for the best 99-cent purchase you'll ever make! The Why Can't We Serve documentary project has an active presence in social media. Tap into the buzz by liking us on Facebook and following us on Twitter. Major Ivan Castro is one of the inspiring veterans featured in the Why Can’t We Serve documentary. He also got media exposure in July 2018 when he ran with the bulls in Spain! Check out this report that aired on CBS This Morning. An article on the Memorial Day observance in Kingston, NY, in 2015 contains thoughts that are well worth sharing. To read the article, go to this YouTube page and click on "Show More." You'll also hear a recording of an excerpt from the keynote address. An excellent article by David Barno and Nora Behsahel shares some very valid thoughts on how to show your appreciation when you meet someone who is or was in the armed forces. Their suggestions are worth practicing all the time, not just on Veteran's Day. Take a few moments to read "How to Talk to a Veteran." The Americans with Disabilities Act requires all major businesses and corporations to hire people with disabilities. This applies to most government agencies as well, with one glaring exception—the U.S. military, which is not required to comply with the ADA. Author, disability activist, and blind Air Force veteran Marty Klein has completed production of a feature-length documentary film called “Why Can’t We Serve.” The goal is to help reduce the number of veteran suicides taking place in our country every day, as well as raise the standard of living for all people with disabilities. Wednesday, March 13 • 7 p.m.
​Filmmaker Marty Klein will facilitate a Q&A session after the showing. $8 admission, $5 for students and members, FREE for veterans! Saturday, March 23 • 7 p.m. This will be the last showing of the Why Can't We Serve documentary in Tallahassee. Filmmaker Klien will facilitate a Q&A session after the showing. 1. Encourage your local veterans organizations to contact their U.S. senators and representatives, and ask them to support the movement. 2. Reach out to national organizations and encourage them to support this movement. 3. Share on social media any clips or notices about the film and where it is being shown. 4. Continue to support the movement with a donation to help with distribution. 5. Reach out to any celebrities who you think may want to get involved. 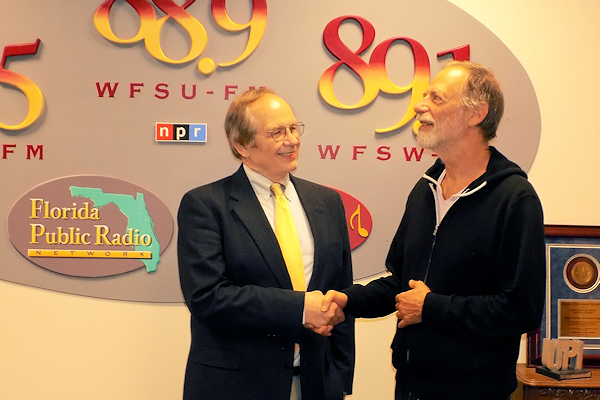 Marty Klein, left, explains the documentary project to Tom Flanigan at WFSU-FM. Why Can't We Serve filmmaker Marty Klein was interviewed on March 1, 2019, by Tom Flanigan, program director for news at WFSU-FM, the flagship public radio station in Tallahassee, FL. They talked about a showing of the film and a preliminary event, as well as the reasons behind the project. The report aired several times on the morning of March 5. Check it out on the Media Coverage page. 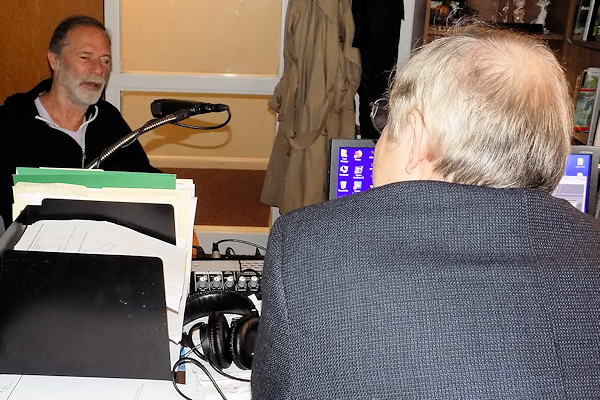 Tom Flanigan, left, and Marty Klein thank each other for a great interview!